Thus with that being said, this iconic cult-favorite loose setting powder is now available in a glow finish as well. 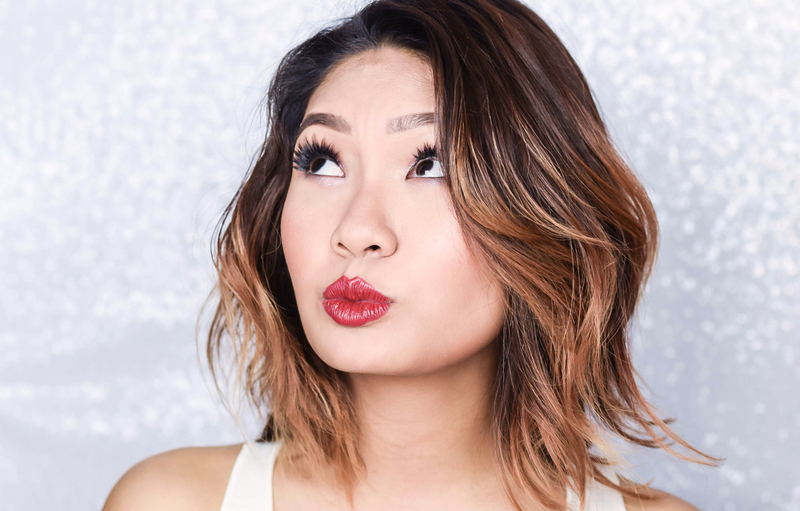 Now this is catered to those who prefer a more luminescent glow, which is an alternative to matte; so basically those who are moving towards a more dewy complexion for their everyday look. 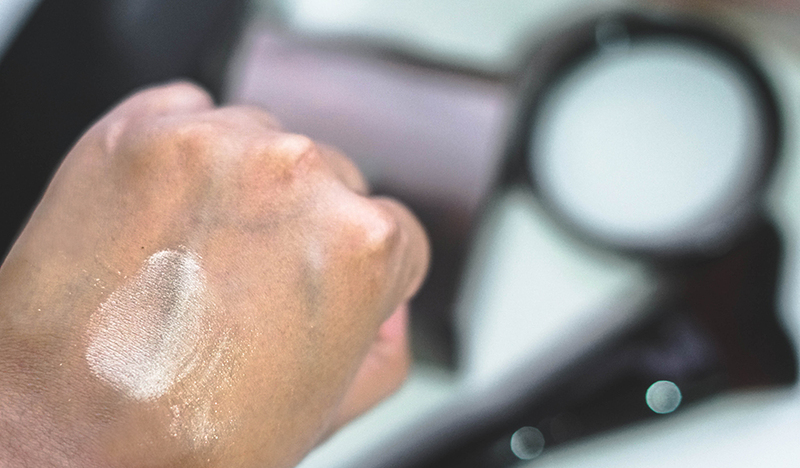 Now in terms of the product, we wouldn't specifically say that it is an all over setting powder, but more or less a powder that gives a luminescent finish, which if used strategically on the areas that you would want, would give a beautiful radiance to the skin. The texture for this is similar to its matte formulation, but has a much added shine to it. 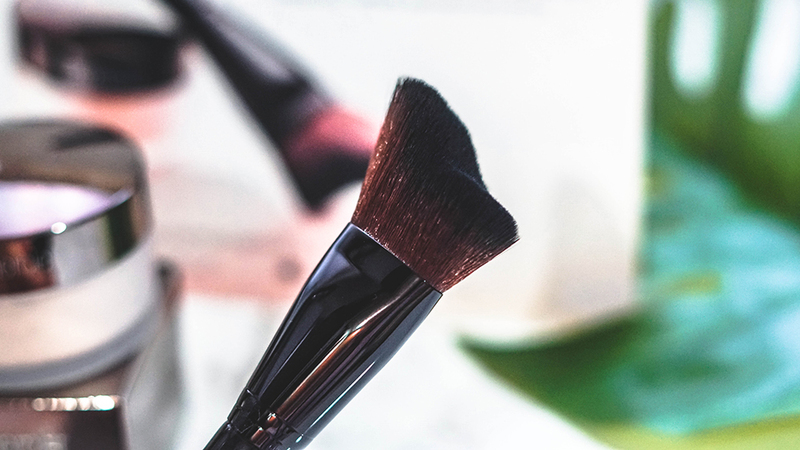 Plus the brush for this formulation works great, for it is dense enough to pick up the right amount of product to give a nice precision to the skin, as well as ensuring that the skin would look smoother, with a zero photo flash back too. 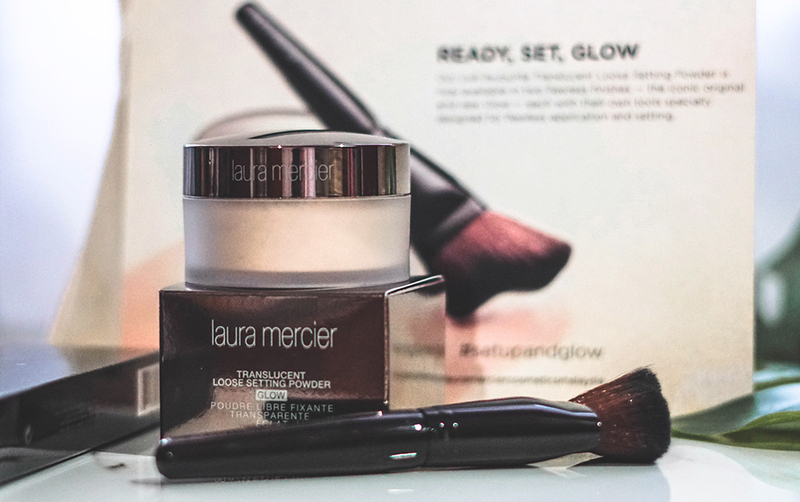 Pick up a moderate amount with the Glow Powder Brush. Application is best over foundation, over a cream or liquid highlight. 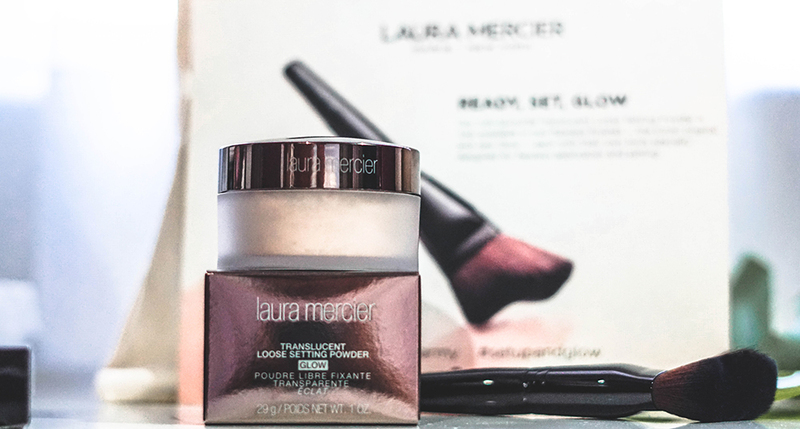 Apply the powder to the high points of the face. Be precise for too much dispersion would not be too flattering. Once set, it will give beautiful luminosity to your skin. With regards, this glow loose setting powder is available in 2 shades which are in Translucent and Translucent Medium Deep. Each of these have gold reflects within and are priced at RM187 each. As for the glow powder brush, it retails at RM187 as well. On overall, we think this powder is good. 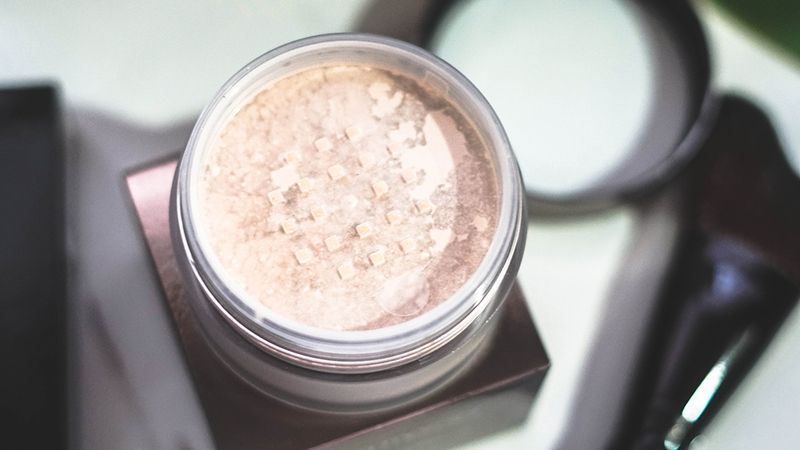 The finish is beautiful, you would be able to get a huge amount of product for that price point as well, and seeing that if you were to be using it strategically at the high points of the face, this Glow Setting Powder would be able to last you for a very long time. 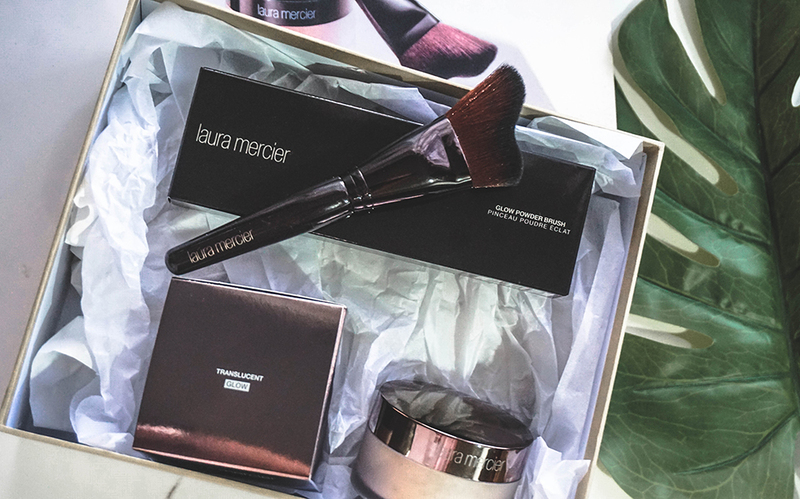 However for further details, you can check it out at all Laura Mercier stores nationwide or head on over to their Official Website for more updates.